And sadly, these games are, and have been, few and far between. 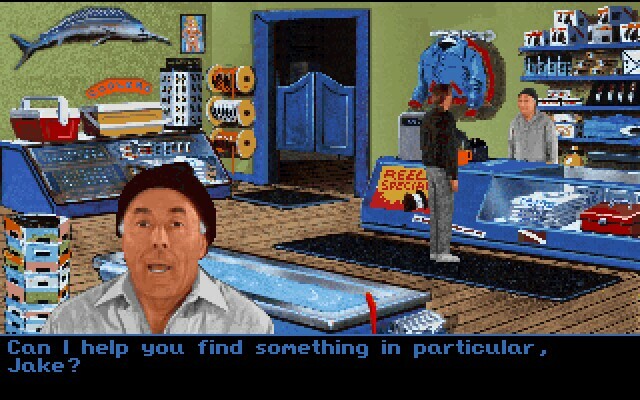 Even a fan of adventure gaming probably wouldn't be able to name more police adventures than Police Quest I, and Police Quest II, and, um, Police Quest III and so on. What most gamers, particularly newcomers, do not know is that in 1994, Tsunami put out a police adventure that equaled and surpassed Police Quest in many areas. That game was called Blue Force. It is interesting to note that Blue Force was the result of a somewhat bitter departure between Sierra and Police Quest designer Jim Walls. 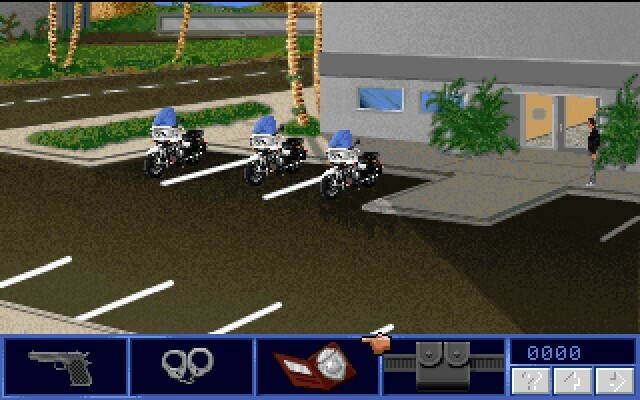 Walls went to Tsunami and made a better police adventure then Sierra's Police Quest IV, which was released at the same time and featured LA riot era police commissioner Darryl Gates. 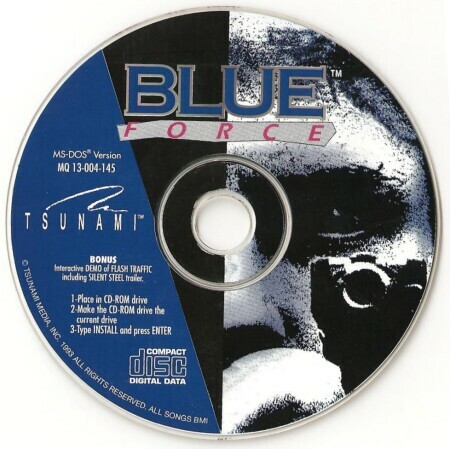 Unfortunately Blue Force sold poorly, and it was Jim's debut as well as his swan song with Tsunami. Why did Blue Force not sell at a level worthy of its quality? The answer is probably a lack of proper marketing. The name Tsunami just did not carry the guarantee of a quality game like Lucasarts or, at that time, Sierra. If the game had been released by a different company and pushed better, it may have sold a lot more. One thing's for sure; Blue Force's poor sales didn't have anything to do with the quality of the game, because as I said, it did everything Police Quest did better. Blue Force's graphics were phenomenal for 1994. The video captured actors were miles ahead of the video captured actors Sierra used for Police Quest 3. The soundtrack was also one of the best of its time, and the CD-ROM version of the game featured remastered tracks of each song in the soundtrack. My favorite is "North Wind, Take Me Home." Of course one can argue that graphics and sound are unimportant to an adventure game. And I agree -- when when those are the only redeeming features of a game. In Blue Force, however, excellent graphics and sound are a bonus. The story line is top-notch, combining the intensity of Police Quest with the detail-uncovering of Sherlock Holmes. In this tale you become Jake Ryan, a rookie motorcycle cop in the Jackson Beach Police Force. Your family has a very long history of law enforcement. Your father, a police detective, and your mother were murdered when you were a child. The murderer was never discovered, and the casefile has been closed. Your father's partner, Lyle Jamison, has opened a private detective agency and still searches for the truth. There are no leads, no clues. No chance to ever catch your parents' murderer, seemingly. You hope against hope that as a member of the police force, you'll be able to find something to bring the killer to justice. The interface leaves one thing to be desired: the ability to cycle through icons. Rather, you must click the right mouse button to bring up your "badge" from which you can choose an icon. But, a plus is that your inventory is always available right at the bottom of the screen without having to open it. I do have one gripe with this game: it is too good to be that short. There could have been a ton more added to this game, and a lot of story aspects could have been developed further, especially the relationship with an abused single mother named Laura. I kept expecting her to play a major part in the story, but she never showed up again after the first day. When you finally do beat the game, the ending is barebones, showing nothing more than the sentences of the criminals. So in those respects, Sierra's Police Quest games are superior. But in all other aspects--storyline, intensity, graphics, and sound--Blue Force still remains the pinnacle of police adventures. So take Unreal, Quake 3, whatever. For me, at any point in the evolution of gaming, this is the definition of drama.